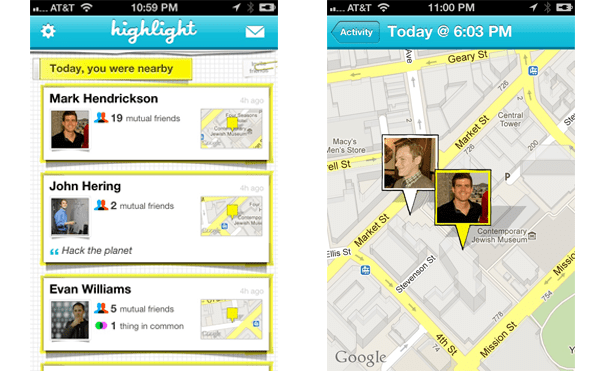 Highlight– Here’s an app that knows a little something about hype. Highlight was the star of the show at SXSW a couple of years back. Their main value proposition seems to be that they let you know what friends and other (perceived) interesting people are around you. Why? I’m not exactly sure. Does it do a good job of this? Not necessarily, not exactly in real time anyway. But it has become somewhat of a de facto mobile social network for the tech community and an under the radar way to make new contacts. 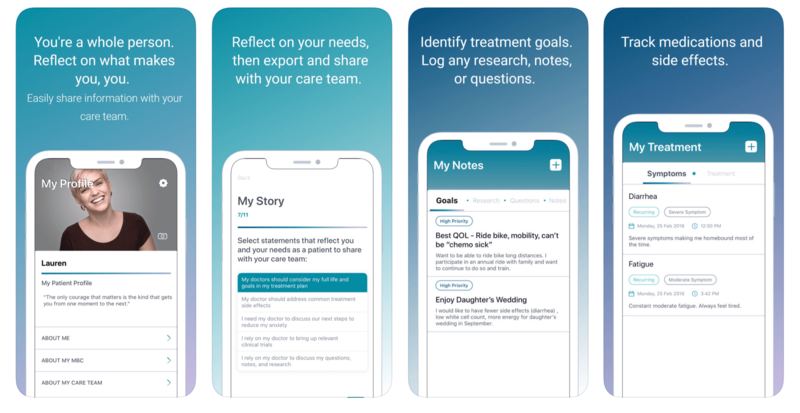 This somewhat unofficial use case has potential to be the focus for Highlight, but it doesn’t seem to have fully embraced that idea yet. They seem to be floating around in social networking land as a way for some to make contacts, some to connect with existing friends, some to find dates, and some to just do some good old fashioned stalking. However, the app is beautifully designed and does a great job of surfacing interesting people to connect with. Verdict: Fad Though potential certainly exists, curious techies/early adopters can keep an app afloat for so long before growth stalls, it feels stale, money dries up and all ideas for real monetization go out the window. Unless they decide on a core use case to build around and define what the clear value is, I’m sad to say I think it’s only a matter of time before Highlight gets dimmed for good. 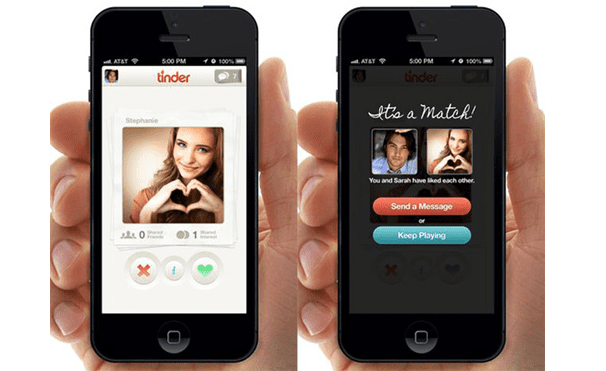 Tinder– Tinder is an app that has taken the dating world by storm. It has flipped everything we thought knew about what people want in order to find potential mates online and boiled it down to basic human nature in a product that is perfectly designed for mobile. Where Tinder really hits it out of the park is it allows you to quickly decide with the tap of a thumb who you’re interested in just off first impression. See a pic, decide if you’re interested or not, next. Isn’t that what the first step in attraction is anyway when you see a cutie out and about? Have you ever approached a potential object of your affection to say hello for the first time, already having read a lengthy profile about them? Nope, not unless you’re a really really hard working stalker. Is it somewhat superficial? Yes..at first at least but that’s really how it’s always been anyway. And once you both “like” each other and start a conversation, it’s pretty much a traditional process from there. If you guys vibe, meet up and see if sparks fly. Simple. Verdict: For Real So often apps are based around interesting ideas that don’t necessarily work as well on mobile as initially thought. People are generally looking to waste five minutes to entertain themselves when they have some down time. Tinder is perfectly designed to have some simple disposable fun and let your imagination run wild with possibilities. How they will monetize remains to be seen but growth is skyrocketing and the experience feels complete. 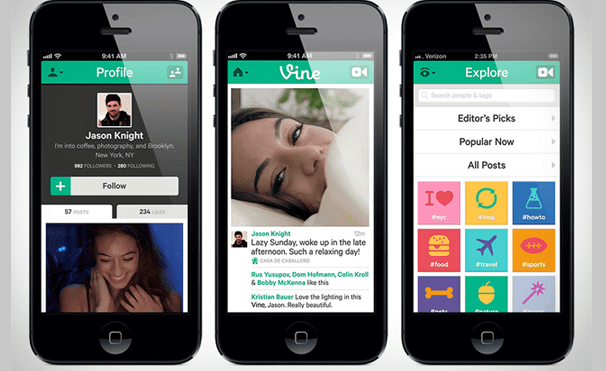 Vine– Vine took the mobile video world by storm with a huge push from Twitter, resulting in a lot of early buzz. Vine has enabled on-the-go videographers to post micro videos (up to 6 seconds) in a similar way its’ parent Twitter has owned micro blogging, giving people everywhere a way to share short quick statements. Similar to the Facebook vs Twitter debate of yesteryear, Vine vs Instagram is now equally interesting. Facebook and Twitter have over time, proven to differ enough in functionality, user experience and community to stand alone as two of the behemoths of social networking. While theoretically they compete against each other, in essence they really don’t and there is plenty of room for both to flourish. The question is, can Vine differ enough from Instagram’s newfound ability to share video with it’s already massive head start in user base? Verdict: For Real Very rarely in tech, does one consumer product completely own a category. With some innovations in functionality, differences in design, strength of community and overall user experience, Vine is carving a niche for the “artsy” videographer similarly to how Vimeo competes against Youtube, where the latter is kind of a one place for all, the former caters to a more specific target and has built an experience around that. Mobile video is still in it’s infancy and with Twitter muscle behind it, an already rapidly innovating Vine will continue to find ways to strengthen it’s offering. There is certainly demand and they are in prime position to meet it.